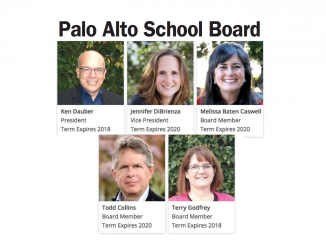 The Palo Alto Unified School District has named three administrators to new roles: overseeing the district’s compliance with federal civil rights law, heading up human resources at the district level and serving as interim principal of Barron Park Elementary School. The shake-up in leadership is partially a result of former Superintendent Max McGee’s sudden resignation last month amid controversy over an unplanned $4.4 million raise for union employees and a clumsy response to sexual misconduct complaints. Newly hired Assistant Superintendent of Human Resources Karen Hendricks was appointed interim superintendent as the board searches for a permanent district leader. Human resources chief Barron Park Elementary School Principal Anne Brown will serve as the interim HR head this year. 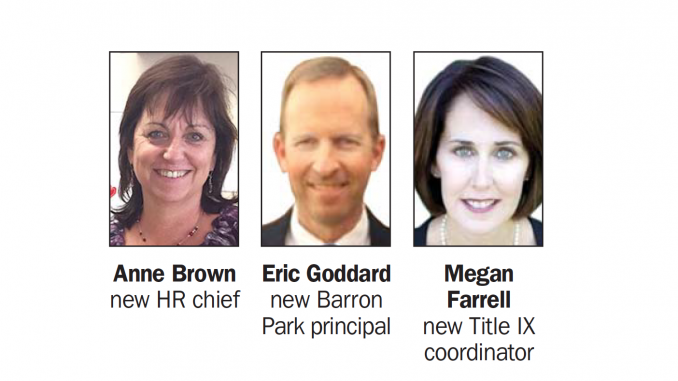 Brown became principal at Barron Park in 2015 after holding the same position at Palo Verde Elementary School since 2010. It won’t be Brown’s first time heading up human resources at a school district in the county. From 2009 to 2010, Brown was director of human resources at the Cupertino Union School District after eight years as principal at two Cupertino elementary schools. She has a bachelor’s in liberal studies from Sacramento State and a master’s in education from Santa Clara University. Brown will be paid $128,666 for a contract spanning 147 work days. While Brown is away from Barron Park, veteran district administrator Eric Goddard will take over as principal at the school on an interim basis, Brown said. Goddard is currently an associate superintendent at the Mountain View-Los Altos High School District, but previously served as principal at Palo Verde and Fairmeadow elementary schools from 2001 to 2011. 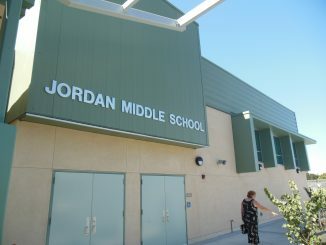 He then worked as the district’s director of human resources from 2011 to 2015, when he left for Mountain View-Los Altos. 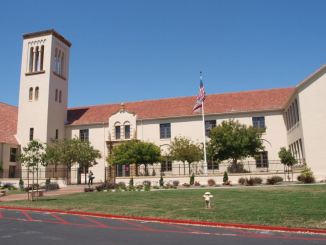 Goddard earned a bachelor’s in psychology from San Jose State, a teaching credential from Notre Dame de Namur University and a master’s in educational administration from San Francisco State. attorney who had overseen the district’s compliance with Title IX, which is part of the Education Amendments Act of 1972, on an interim basis since June. Title IX is the law that bans gender discrimination in federally funded schools, which encompasses investigations following complaints of sexual harassment and assault. Farrell previously served as counsel to Hirschfeld Kraemer LLP in their San Francisco office, advising educational institutions across the country on legal issues involving faculty, staff and students, Hendricks said. Farrell has worked in higher education for more than 15 years as university counsel, faculty and Title IX coordinator. She has a law degree from Widener University in Pennsylvania and an MBA from the University of Maryland. Farrell, who starts on Nov. 6, will be paid a base salary of $156,655.